Lifting your PWC or boat out of the water has many benefits. Lifting it out of the water between uses keeps it out of danger from unsuspecting wakes or waves. Our lifts are manufactured with an all aluminum structure and stainless steel bolts and cables. 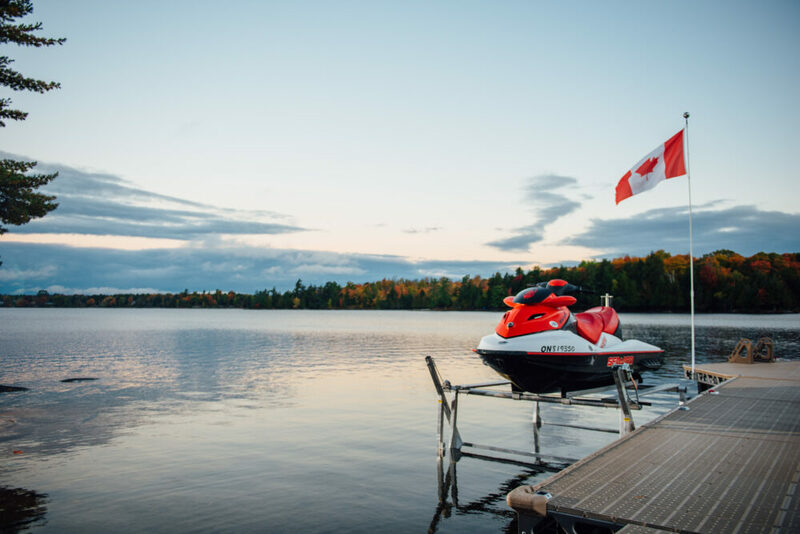 Minimum maintenance required allows you to spend more time out on water. 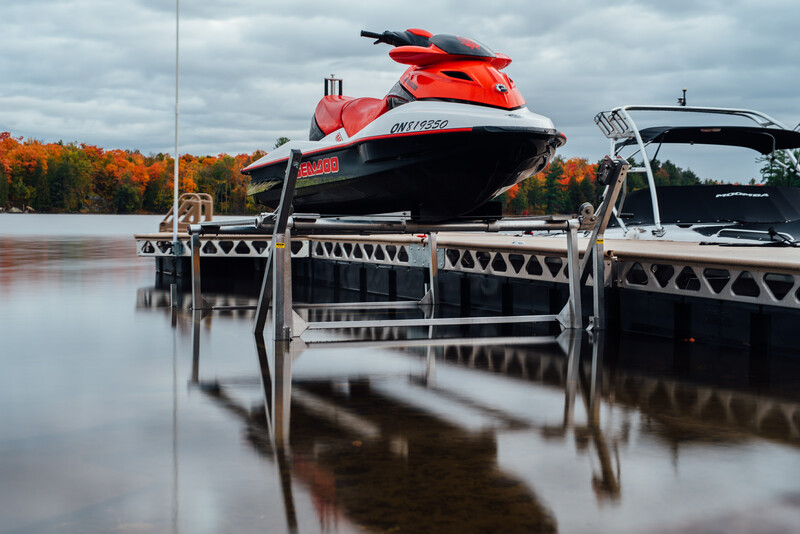 Our lightweight and durable lifts allow you to move them in and out as the seasons change. All lifts come with a grease able pulley with fittings and side guides. The 1200lbs lift are shipped broken down and easily assembled. For assembly instructions, click the link below. Minimum Water Depth: 2′ or at same level as cross bar. Maximum Water Depth: 6″ above cross bar.